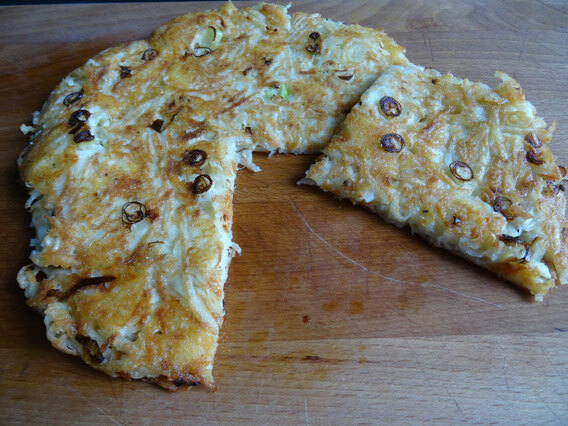 The Potato Rosti originally comes from Switzerland & there are many variations. 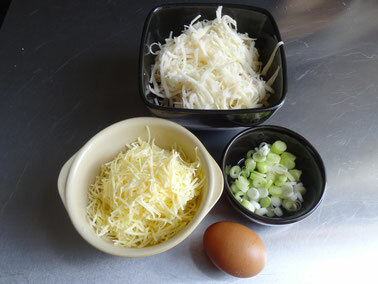 Mine is simple with just cheese & spring onions but you can add whatever you like (e.g. bacon?) to make it your own! 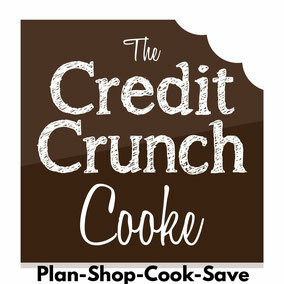 Serve for a satisfying brunch or lunch! Make individual Rostis if you prefer! 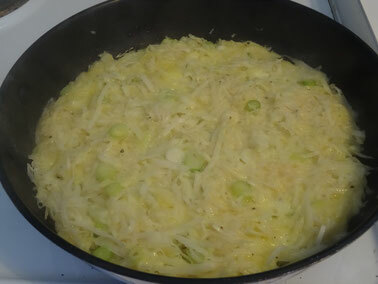 Place the potatoes, cheese, spring onions & egg in a large bowl along with a little salt & some pepper, mix well. Heat some oil in a frying pan & add the potato mixture. Smooth the top with the back of a spoon & cook on a fairly high heat for about 10-15 minutes, then reduce the heat & cook until golden. 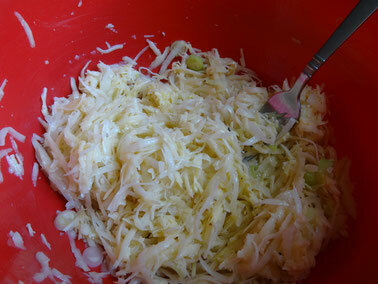 (Lift the edge of the Rosti with a spatula to check). To flip the Rosti over place a plate over the pan, turn it over & slide the Rosti back into the pan (be careful & get someone to help you if necessary!) & cook until golden.